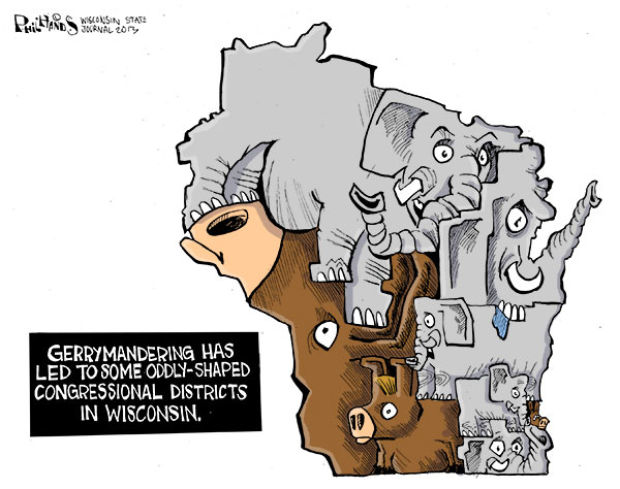 Last Thursday, Common Cause in Wisconsin challenged candidates of all political parties to contact us if they support establishing a non-partisan redistricting process for Wisconsin to be in place for the next time redistricting occurs – in 2021. 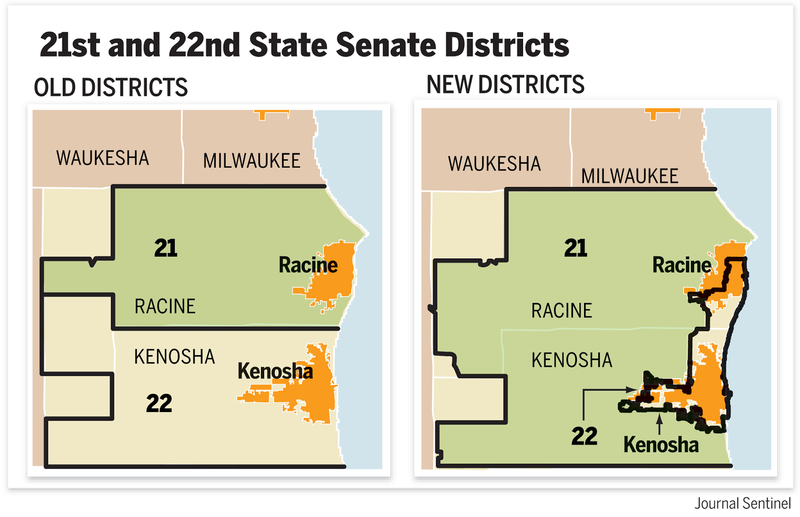 The reform, based on our neighboring state of Iowa's highly successful and respected 34-year-old redistricting process, would still give the Wisconsin Legislature the final say on the new district boundaries, but they would actually be drawn by the non-partisan Legislative Reference Bureau, without partisan political considerations. This would serve the best interests of citizens rather than those of the partisan legislative leaders, which is the case now. 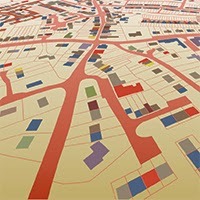 Legislators could vote up or down on the LRB-drawn maps, but without interference or amendment. Thus far, 12 state legislative and statewide candidates have contacted us indicating their support for the "Iowa Plan." This is as much an exercise in seeing who is paying attention as it is in finding out who supports this common sense reform. 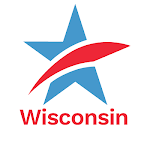 Any candidate – including incumbent legislators running for re-election who may have been co-sponsors of AB 185 or Senate Bill 163 – must proactively contact us by email, by phone 608/256-2686 (leave a message if no answer) or by a simple sentence or two letter to CC/WI, P.O. Box 2597, Madison, WI 53701-2597. Which State Legislative and Statewide Candidates Support Non-Partisan Redistricting Reform? 1. During the 2013-2014 Legislative Session, non-partisan redistricting reform emerged as the leading political reform initiative in the media and among citizens throughout Wisconsin. 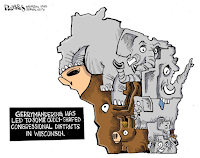 CC/WI helped unite pro-reform legislators behind a single measure – Assembly Bill 185 and Senate Bill 163 – that is modeled after Iowa's highly successful, 34-year-old redistricting process that takes the partisan politics out of redistricting and delegates the boundary-drawing to a non-partisan state entity that does not utilize partisan political considerations in their task. This issue received the unprecedented endorsement of 19 Wisconsin daily newspaper editorial boards and thousands of citizens expressed their support for ending gerrymandering in letters to editors, communications to legislators and by attending one of six "reform forums" CC/WI organized over 2013-2014 in Beloit, Whitewater, Stevens Point, Madison, Eau Claire and Racine. While the legislative leadership opposed this reform and refused to hold even a public hearing during the legislative session, redistricting reform will be very much an issue during the upcoming election season. Any statewide or state legislative candidate (or their authorized proxy) who supports the "Iowa Plan" and would like to see their name listed here should contact CC/WI by phone at (608) 256-2686 (leave a message if no answer), by email or by letter: CC/WI, P.O. Box 2597, Madison, WI 53701-2597. Citizens can urge candidates to support non-partisan redistricting reform and request that they get their names on this list. Candidates must be pro-active to have their names appear on this site. Even incumbent legislators running for re-election who co-sponsored AB 185/SB163 during the last legislative session must contact us to be on the list. We will update the list constantly and will have a tab near the top of our website for anyone to check to see who is on it and therefore in support of the Iowa Plan. 2. For two years, until this May, Governor Scott Walker's 2012 campaign has been under active criminal investigation for possible illegal coordination with outside spending groups such as Wisconsin Club for Growth and Wisconsin Manufacturers & Commerce. In May, Federal Judge Rudolph Randa halted the investigation, but his flawed and hyper-partisan decision is under appeal before the U.S. Court of Appeals for the 7th Circuit in Chicago. 3. Our friends at the League of Women Voters of Wisconsin scheduled an issues forum in the 6th Congressional District for citizens to come hear and find out about the four candidates vying for the Republican nomination for the U.S. House of Representatives to replace 36-year-old incumbent, Congressman Tom Petri of Fond du Lac. Two of the candidates, State Senators Glenn Grothman (R-West Bend) and Joe Leibham (R-Sheboygan) refused to participate in the debate because they were at odds with the LWV-WI's warranted opposition to Wisconsin's extreme and unconstitutional voter photo ID law (Act 23). Grothman and Leibham were trying to "out right wing" each other to pander to the ultra-conservative activist base. 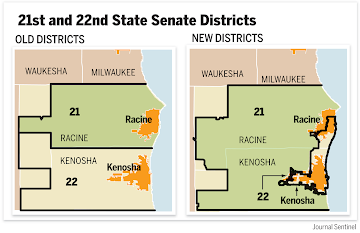 The 6th Congressional District is a "safe" Republican district, in part due to gerrymandering, and so Grothman and Leibham feel they do not have to participate or even engage with a non-partisan organization like the League, because they would likely not suffer any serious adverse political consequences. Instead, the election becomes even more polarizing. Bill Barth, the conservative editorial page editor of the Beloit Daily News, captured perfectly, exactly what is wrong with this entire situation, in this recent editorial.